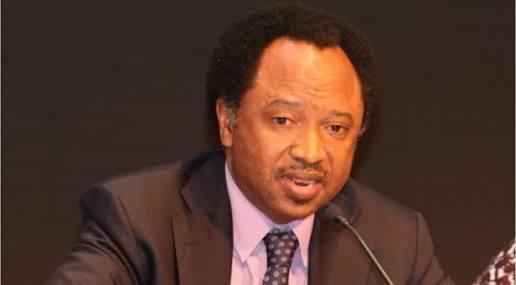 Senator Shehu Sani has appealed to the national leadership of the ruling All Progressives Congress (APC) to rescue the party from destruction in Kaduna state. The Kaduna Central APC senator told journalists on Monday in Abuja, after a closed-door meeting with National Chairman of APC, Chief John Odigie-Oyegun, that the party needed to be rescued in his state. Sani was in company of some APC members in Kaduna, including Sen. Suleiman Hunkuyi (Kaduna North) to the meeting with the national chairman. He condemned Saturday’s local government elections in the state, saying that it did not hold. Sani alleged that the delegates list for the election was doctored and did not follow due process. ´´They sat down in the palace of their gods to write names and sent it down here for us to accept; that can never happen,´´ he said. He said that such practice contributed to the problems of the People’s Democratic Party (PDP), and warned that the APC could go the same way if its leadership failed to address the problem. ´´This was the seed of the destruction of the PDP, where individuals considered themselves as gods and any other person a slave; that will never happen in Kaduna state. ´´We are here to present our case and to appeal to the instrument of leadership of this party to intervene in the Kaduna issue before it becomes too late. ´´The use of thugs and violence by agents and close associates of the state government is one thing we cannot tolerate,´´ Sani said. He decried the recent raiding of Nigeria Union of Journalists (NUJ) secretariat in Kaduna by thugs during a press briefing after the councils’ election, during which journalists were injured. He said that such was the trait of the APC, and urged its leadership to should set up an investigation panel to bring the perpetrators of the disturbances. The lawmaker alleged that the thugs were acting in concert with the police in the state. ´´If we continue on this part, where one person feels he is a god, I think we are simply repeating the very problem that destroyed the party we ejected out of power,´´ he said. He maintained that there was a need for APC to provide the vehicle for real change for the country to change and tasked members to change the manner they played politics. Sani stressed that those who resolved to the use of violence or thugs to liquidate perceived political opponent were on the wrong side of history. He said that members of his faction of the party in the state were not agents of violence but were loyal and peaceful. He insisted that if the APC must win the 2019 election, it must apart from fulfilling its campaign promises, set an example for discipline, comradeship and a sense of belonging to all members. Sani said that what was happening in the party´s leadership in the state was unbecoming and should be addressed before it became late. He appealed to those in authority to ´´know that the God that brought the APC to power was still alive and will always listen to the cries of the oppressed and marginalised.